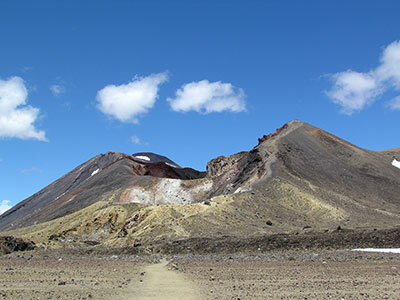 If you are walking the Tongariro Crossing interdependently you need to organise a shuttle to get you back to your car. The most convenience option is to park your car in the secure Ketitahi car park at the end of the crossing. The shuttle will take you to the start of the walk. Althernatively you can consider the fully guided option as the guides will provide you with commentary and ensure you are properly fitted out for this hike. Most of our guests take between the 6 and 8 hours to complete the Crossing. There are so many more other amazing walks to be experienced for all fitness levels. The Old Coach Road, The Taranaki Falls Walk and the Waitonga Falls walks are only just 3 of the most popular walks in the park.. There are many mountain biking tracks in the Ruapehu Region. 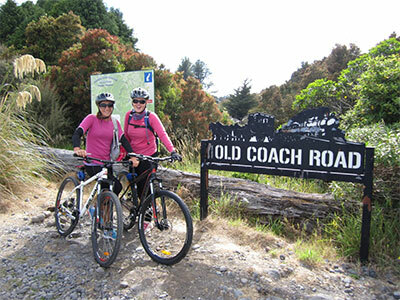 Take a look at the grade 2 cycle trails like" Old Coach Road Trail, Fishers Track, Marton Sash and Door track. Bike hire available from: National Park and Ohakune. 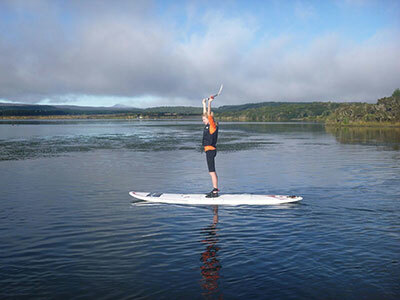 This is a summer activity only but well worth experiencing even if you have never paddle boarded before. The lake is flat and after a little bit of tuition you will be fully guided around the lake. Enjoy the amazing views of the three volcanoes that Tongariro National Park is famous for when you paddle back across the lake. Combine this early morning trip with the Fishers Track cycle trail for a soft adventure day out. Great all weather adventure even on a rainy day when it is too wet to walk or the mountain is closed for skiing. Gain your confidence before setting off for 1 or 2 hours adventure. All wet weather gear provided. Not so brave to ride the bike yourself, there is always that 4WD buggy ride where you experience the same trails but you're driven. 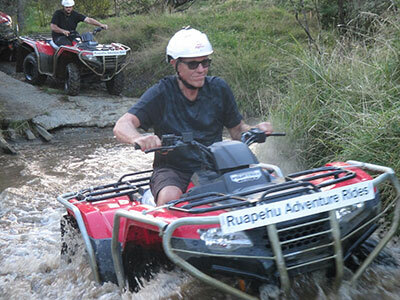 Take a 45 minute drive to Pipiriki to enjoy a jet boat ride to the famous Bridge to Nowhere. From the Whanganui River jetty, enjoy a 40 minute walk to the historic bridge. Return to Pipiriki by jet boat or paddle back down stream in a canoe. There is nothing more spectacular to be able to fly across the three volcanoes and the Tongariro Crossing. Gaze into the craters and crater lake of Mt Ruapehu. Guided rail journeys across the Forgotten Highway Railway. Travel through remote farmland and various tunnels in a rail cart or provide the power yourself using a rail bike. Choose from half day or full day tours. 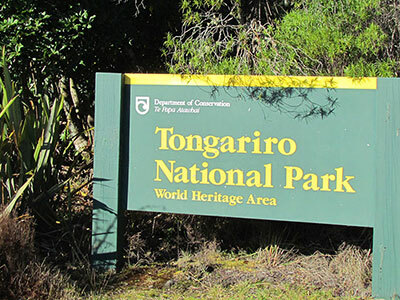 Tongariro Suites @ The Rocks is located just a short 30minutes drive to both ski fields car parks. Decide in the morning if you turn left or right for a days skiing or snowboarding. Not a skier, take a lift to New Zealand's highest cafe Knoll Ridge. 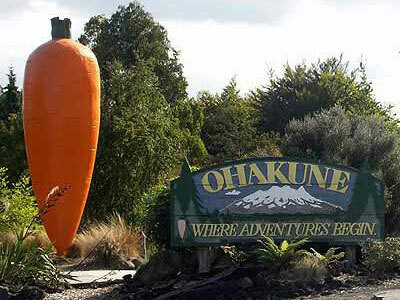 Ski hire available from Ohakune, National Park Village and on the mountains.